1. This week, the county decided to move forward with a feasibility study for moving the NYS DOT site from its current location along the inlet to a site in Dryden. The $78,000 award (of which $56,000 is covered by a state grant) was made to Rochester-based Fisher Associates, who are leading a group that includes NYC-based HR&A Advisors, local firm Trowbridge Wolf Michaels Landscape Architects, and Binghamton-based BCK/IBI Group Architects. Seven companies/consortiums vied for the study. Readers might recall an RFP was issued back in July for the feasibility of moving the NYSDOT maintenance facility, which would make available a large and desirable property that the city would like to see redeveloped. 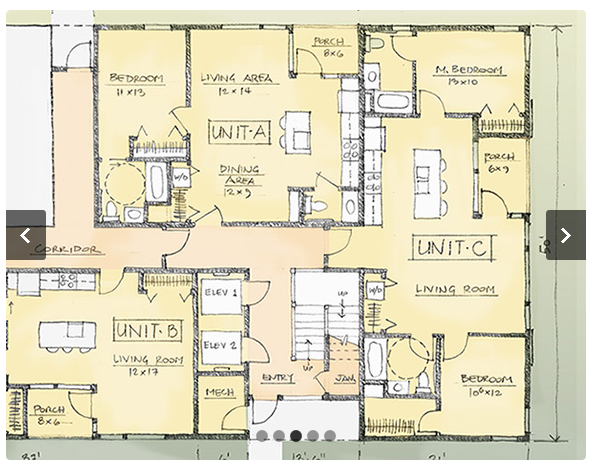 The study is due to be completed in May, and if it looks like the move is doable (i.e. 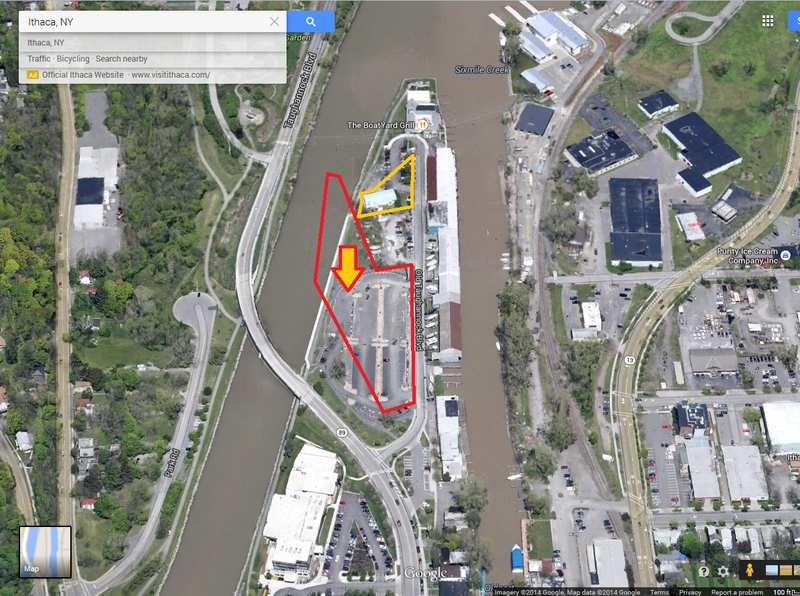 the county and city can cajole the perenially-reluctant DOT), the site could be sold to the highest bidder and begin redevelopment in early 2017. 2. In keeping with the waterfront theme, here’s a couple interesting chunks of info from the IURA Governance Meeting agenda for the 21st. In a discussion of revenue-generating opportunities, the IURA notes redevelopment opportunities on some of its parcels – one, 324 E. State Street, is already planned out, it’s the site of the 123-room “canopy Hotel” by Hilton. Another is 410-426 Taughannock Boulevard (red outline in the above image), which could occur in conjunction with a state-owned neighboring parcel owned at 508 Taughannock Boulevard (orange outline), a property in the process of being purchased by the city. 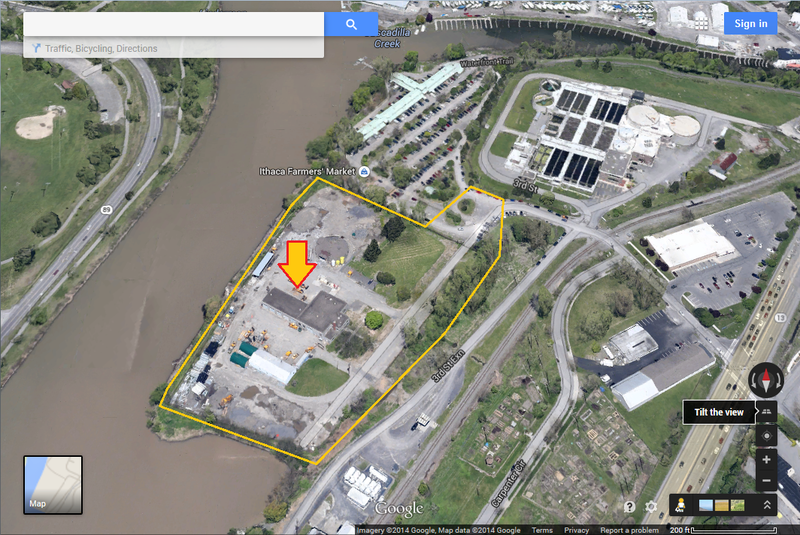 Though 410-426 has been noted to have environmental contamination, the interest in the waterfront and Inlet Island recently (323 Taughannock, Lehigh Valley House, 206 Taughannock) leaves the door open to a developer with the means and interest. This will be a site to keep an eye on in the long-term. Also worth a brief mention is the planned purchase of a small vacant lot at 420 N. Plain Street. The house on that site was demolished after it was sold to NYSEG in 2011. What will most likely happen is a transfer of the property to INHS for redevelopment into a 1 or 2-family home. 3. 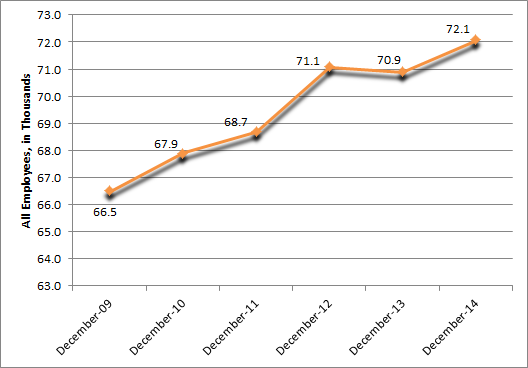 The first run of the December job numbers are out, and Ithaca is sitting pretty. When compared to December 2013, the Ithaca metro added 1,200 jobs, an increase of 1.7%. For the month, Ithaca’s growth in New York State was surpassed only by New York City’s 2.3%. For the whole year of 2014, preliminary figures suggest that Ithaca’s 1.8% job growth was the fourth-greatest of the 14 state metros, following NYC’s 2.7%, Kingston’s 2.2% and Albany-Schenectady-Troy’s 2.1%. Kingston is an even smaller job market than Ithaca, Albany is nearly 6x larger (and is growing thanks in large part to its tech boom), and NYC is NYC, dominating the state with nearly 100,000 more jobs year-over-year, thus solidifying control over the state, northeast, USA and perhaps in their minds, world and universe. The federal BLS website has yet to be updated as of today, so I can’t give the breakdowns on what market sectors gained jobs. On the one hand, the numbers are auspicious, the region is growing economically. On the other hand, when the entire county adds a couple hundred housing units per year, this is exacerbating the housing problem. At a glance, I’d suggest there are more commuters from the surrounding counties than there were in December 2013. 4. I stumbled upon these a couple of weeks ago, but they keep slipping off the radar. 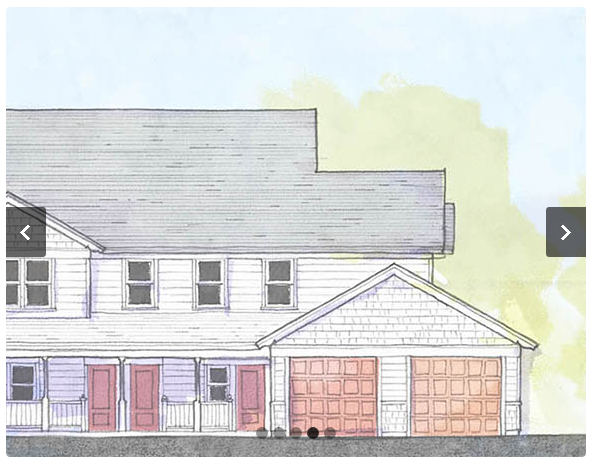 The above images are samples of the work being done by local architecural firm STREAM Collaborative for the proposed 130-unit development off of Troy Road in the town of Ithaca. The project consists of apartments, townhouses and single-family homes targeted towards the “middle-income demographic”, according to the architect’s website. I don’t know how relevant these drawing are the current design (the site plan looks current), but the images make for some nice eye candy. 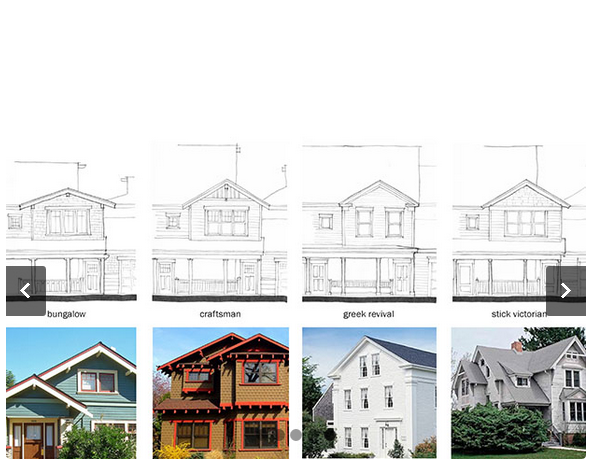 I think it would be really cool if the apartment buildings rotated between the four styles in the last image – one craftsman apartment building, one stick victorian, and so on. Variety is the spice of life, the old saying goes. What say you, dear readers? Any one design more preferable than the others? 5. It is a sad day – not a single new sketch plan is schedule for next week’s Planning Board meeting. That’s the first time that’s happened in several months at least. 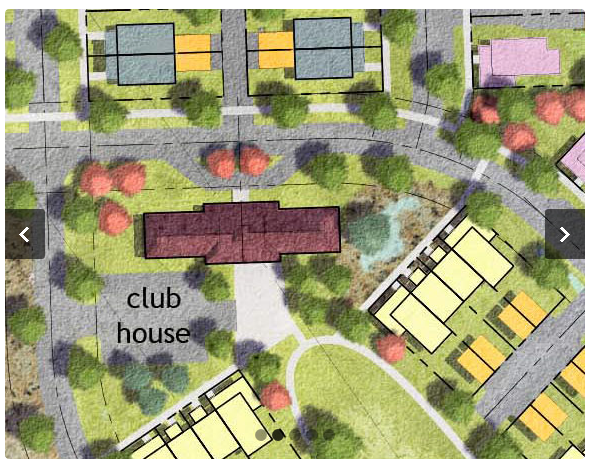 This week’s town of Ithaca Planning Board meeting was cancelled, and the town of Lansing is only reviewing 7 lots of a new lakeside housing development (Novalane). It has all the makings of a dull week ahead. A shame too, given that a developer usually has to have several meetings with the Planning Board, it would make sense to propose something now if they wanted to get started during the warmer months of 2015. But not all is doldrums and scanning news feeds. From an IURA meeting, the Dept. of Planning, Zoning, Building and Economic Development released its annual report. There were a couple projects I was not aware of, that have yet to go under review but are nevertheless out there for analysis, and one of those will be shared here on Tuesday. *The city noted that TJ Maxx is moving into the city, so I’m making an educated guess that the Lansing location will be shutting down once the new space next to Hobby Lobby is ready. * The Ithaca Gun apartment proposal, while not under any formal review at the moment, is described as having 50 units. *The department still considered 130 E. Clinton an active project – although it is approved, don’t expect much. Inlet Isle could be a great place for development(as seen by the current projects), but I do worry parking will be an issue. I agree that all four options for the Troy Rd development is the best route to take. I tried to click on the link for the project, and just stayed with the same page (don’t forget I’m old and easily confused). Does the fact that the 130 Clinton project is still listed as active mean that Fane has not given up hope yet? I think with Inlet Island, it’ll depend on each project. 323, for instance, has first floor parking followed by floors of apartments. We’ll just have to wait and see what else comes along. As for 130 Clinton, technically Fane could build it if he wanted to, he has all the approvals he needs. He just won’t get the tax abatement if he builds. I have no doubt that long-term the project would be profitable (48 bedrooms, assume $800/month each, $461k in rent, minus $140k in taxes and we’ll add another $60k for miscellaneous, 260k profit per year, project pays off in 14 years if construction cost is $3.5 million). But after the IDA meeting, he may now feel his pride is on the line, so there’s no guarantee what will happen. It’s anyone’s guess. I told ya I’m getting too old. Got it now.